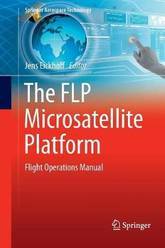 This book represents the Flight Operations Manual for a reusable microsatellite platform - the Future Low-cost Platform (FLP), developed at the University of Stuttgart, Germany. It provides a basic insight on the onboard software functions, the core data handling system and on the power, communications, attitude control and thermal subsystem of the platform. Onboard failure detection, isolation and recovery functions are treated in detail. The platform is suited for satellites in the 50-150 kg class and is baseline of the microsatellite Flying Laptop from the University. The book covers the essential information for ground operators to controls an FLP-based satellite applying international command and control standards (CCSDS and ECSS PUS). Furthermore it provides an overview on the Flight Control Center in Stuttgart and on the link to the German Space Agency DLR Ground Station which is used for early mission phases. Flight procedure and mission planning chapters complement the book. 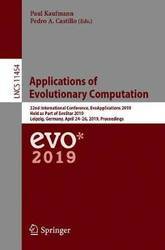 This book constitutes the refereed proceedings of the 22nd International Conference on Applications of Evolutionary Computation, EvoApplications 2019, held in Leipzig, Germany, in April 2019, co-located with the Evo*2019 events EuroGP, EvoCOP and EvoMUSART. The 44 revised full papers presented were carefully reviewed and selected from 66 submissions. 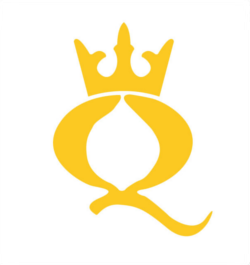 They were organized in topical sections named: Engineering and Real World Applications; Games; General; Image and Signal Processing; Life Sciences; Networks and Distributed Systems; Neuroevolution and Data Analytics; Numerical Optimization: Theory, Benchmarks, and Applications; Robotics. This book constitutes the refereed post-conference proceedings of the First International Workshop on Artificial Intelligence in Health, AIH 2018, in Stockholm, Sweden, in July 2018. 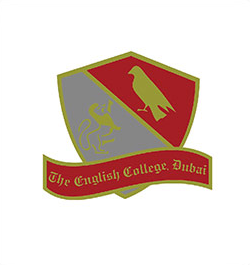 This workshop consolidated the workshops CARE, KRH4C and AI4HC into a single event. The 18 revised full papers included in this volume were carefully selected from the 26 papers accepted for presentation out of 42 initial submissions. The papers present AI technologies with medical applications and are organized in three tracks: agents in healthcare; data science and decision systems in medicine; and knowledge management in healthcare. 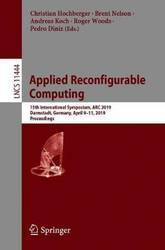 This book constitutes the proceedings of the 15th International Symposium on Applied Reconfigurable Computing, ARC 2019, held in Darmstadt, Germany, in April 2019. The 20 full papers and 7 short papers presented in this volume were carefully reviewed and selected from 52 submissions. In addition, the volume contains 1 invited paper. The papers were organized in topical sections named: Applications; partial reconfiguration and security; image/video processing; high-level synthesis; CGRAs and vector processing; architectures; design frameworks and methodology; convolutional neural networks. This book constitutes extended selected papers from the 16th Conference on Advanced Information Technologies for Management, AITM 2018, and the 13th Conference on Information Systems Management, ISM 2018, held as part of the Federated Conference on Computer Science and Information Systems, FedCSIS, which took place in Poznan, Poland, in September 2018. The total of 9 full and 3 short papers presented in this volume were carefully reviewed and selected from a total of 43 submissions. The papers selected to be included in this book contribute to the understanding of relevant trends of current research on information technology for management in business and public organizations. 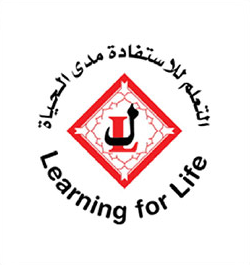 They were organized in topical sections named: information technology and systems for knowledge management, and information technology and systems for business transformation. People relate to other people, not to simplified types or segments. This is the concept that underpins this book. Personas, a user centered design methodology, covers topics from interaction design within IT, through to issues surrounding product design, communication, and marketing. Project developers need to understand how users approach their products from the product's infancy, and regardless of what the product might be. Developers should be able to describe the user of the product via vivid depictions, as if they - with their different attitudes, desires and habits - were already using the product. In doing so they can more clearly formulate how to turn the product's potential into reality. Based on 20 years' experience in solving problems for businesses and 15 years of research, currently at the IT University of Copenhagen, Lene Nielsen is Denmark's leading expert in the persona method. She has a PhD in personas and scenarios, and through her research and practical experiences has developed her own approach to the method - 10 Steps to Personas. 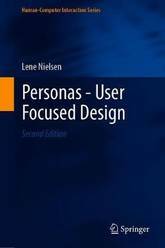 This second edition of Personas - User Focused Design presents a step-by-step methodology of personas which will be of interest to developers of IT, communications solutions and innovative products. This book also includes three new chapters and considerable expansion on the material in the first edition. 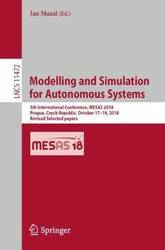 This book constitutes the thoroughly refereed post-workshop proceedings of the 5th International Workshop on Modelling and Simulation for Autonomous Systems, MESAS 2018, held in Prague, Czech Republic, in October 2018. The 46 revised full papers included in the volume were carefully reviewed and selected from 66 submissions. 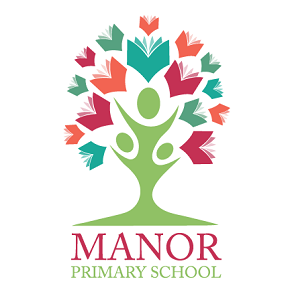 They are organized in the following topical sections: Future Challenges of Advanced M&S Technology; Swarming - R&D and Application; M&S of Intelligent Systems - AI, R&D and Application; AxS in Context of Future Warfare and Security Environment (Concepts, Applications, Training, Interoperability, etc.). 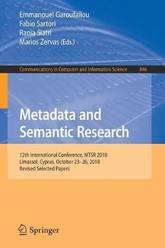 The Transactions on Pattern Languages of Programming subline aims to publish papers on patterns and pattern languages as applied to software design, development, and use, throughout all phases of the software life cycle, from requirements and design to implementation, maintenance and evolution. The primary focus of this LNCS Transactions subline is on patterns, pattern collections, and pattern languages themselves. The journal also includes reviews, survey articles, criticisms of patterns and pattern languages, as well as other research on patterns and pattern languages. 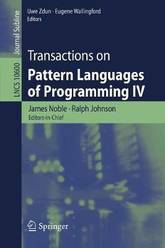 This book, the third volume in the Transactions on Pattern Languages of Programming series, presents five papers that have been through a careful peer review process involving both pattern experts and domain experts. The papers present various pattern languages and a study of applying patterns and represent some of the best work that has been carried out in design patterns and pattern languages of programming over the last few years. 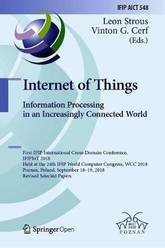 This open access book constitutes the refereed post-conference proceedings of the First IFIP International Cross-Domain Conference on Internet of Things, IFIPIoT 2018, held at the 24th IFIP World Computer Congress, WCC 2018, in Poznan, Poland, in September 2018. The 12 full papers presented were carefully reviewed and selected from 24 submissions. 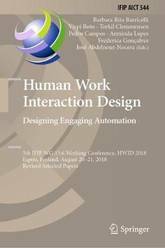 Also included in this volume are 4 WCC 2018 plenary contributions, an invited talk and a position paper from the IFIP domain committee on IoT. The papers cover a wide range of topics from a technology to a business perspective and include among others hardware, software and management aspects, process innovation, privacy, power consumption, architecture, applications. This open access book is about public open spaces, about people, and about the relationship between them and the role of technology in this relationship. It is about different approaches, methods, empirical studies, and concerns about a phenomenon that is increasingly being in the centre of sciences and strategies - the penetration of digital technologies in the urban space. 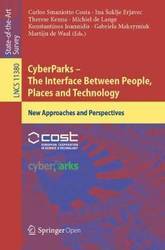 As the main outcome of the CyberParks Project, this book aims at fostering the understanding about the current and future interactions of the nexus people, public spaces and technology. It addresses a wide range of challenges and multidisciplinary perspectives on emerging phenomena related to the penetration of technology in people's lifestyles - affecting therefore the whole society, and with this, the production and use of public spaces. Cyberparks coined the term cyberpark to describe the mediated public space, that emerging type of urban spaces where nature and cybertechnologies blend together to generate hybrid experiences and enhance quality of life. 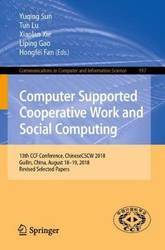 This book constitutes the refereed proceedings of the 13th CCF Conference on Computer Supported Cooperative Work and Social Computing, ChineseCSCW 2018, held in Guilin, China, in August 2018. The 33 revised full papers presented along with the 13 short papers were carefully reviewed and selected from 150 submissions. The papers of this volume are organized in topical sections on: collaborative models, approaches, algorithms, and systems, social computing, data analysis and machine learning for CSCW and social computing. This book constitutes the thoroughly refereed post-conference proceedings of the 22nd International Workshop on Job Scheduling Strategies for Parallel Processing, JSSPP 2018, held in Vancouver, Canada, in May 2018. The 7 revised full papers presented were carefully reviewed and selected from12 submissions. The papers cover topics in the fields of design and evaluation of new scheduling approaches. They focus on several interesting problems in resource management and scheduling. 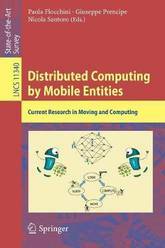 Distributed Computing by Mobile Entities is concerned with the study of the computational and complexity issues arising in systems of decentralized computational entities operating in a spatial universe Encompassing and modeling a large variety of application environments and systems, from robotic swarms to networks of mobile sensors, from software mobile agents in communication networks to crawlers and viruses on the web, the theoretical research in this area intersects distributed computing with the fields of computational geometry (especially for continuous spaces), control theory, graph theory and combinatorics (especially for discrete spaces). The research focus is on determining what tasks can be performed by the entities, under what conditions, and at what cost. In particular, the central question is to determine what minimal hypotheses allow a given problem to be solved. 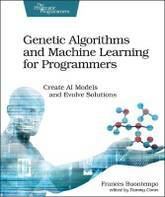 This book is based on the lectures and tutorial presented at the research meeting on Moving and Computing (mac) held at La Maddalena Island in June 2017. Greatly expanded, revised and updated, each of the lectures forms an individual Chapter. 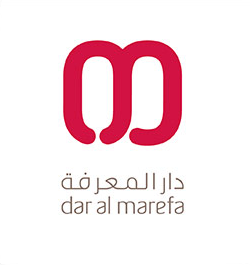 Together, they provide a map of the current knowledge about the boundaries of distributed computing by mobile entities. This book constitutes the thoroughly refereed post-conference proceedings of the 4th International Conference on Mobile, Secure, and Programmable Networking, held in Paris, France, in June 2018. The 27 papers presented in this volume were carefully reviewed and selected from 52 submissions. They discuss new trends in networking infrastructures, security, services and applications while focusing on virtualization and cloud computing for networks, network programming, software defined networks (SDN) and their security. 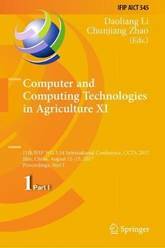 The two volumes IFIP AICT 545 and 546 constitute the refereed post-conference proceedings of the 11th IFIP WG 5.14 International Conference on Computer and Computing Technologies in Agriculture, CCTA 2017, held in Jilin, China, in August 2017. The 100 revised papers included in the two volumes were carefully reviewed and selected from 282 submissions. 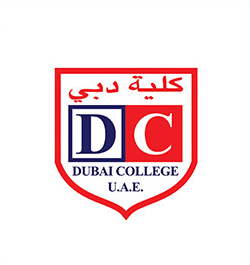 They cover a wide range of interesting theories and applications of information technology in agriculture. The papers focus on four topics: Internet of Things and big data in agriculture, precision agriculture and agricultural robots, agricultural information services, and animal and plant phenotyping for agriculture. 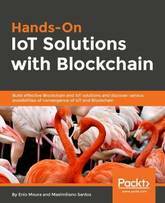 Integrate an end-to-end logistic chain using IBM Blockchain and IoT platforms Key Features Explore practical implementation of ledger technology in the IoT architecture Study security best practices for your smart devices Understand Blockchain implementation for end-to-end IoT solutions Book DescriptionBlockchain has been the hot topic of late thanks to cryptocurrencies. To make matters more interesting, the financial market is looking for ways to reduce operational costs and generate new business models, and this is where blockchain solutions come into the picture. In addition to this, with Internet of Things (IoT) trending and Arduino, Raspberry Pi, and other devices flooding the market, you can now create cheap devices even at home. Hands-On IoT Solutions with Blockchain starts with an overview of IoT concepts in the current business scenario. It then helps you develop your own device on the IBM Watson IoT platform and create your fi rst IoT solution using Watson and Intel Edison.Once you are familiar with IoT, you will learn about Blockchain technology and its use cases. You will also work with the Hyperledger framework and develop your own Blockchain network. As you progress through the chapters, you'll work with problem statements and learn how to design your solution architecture so that you can create your own integrated Blockchain and IoT solution. The next set of chapters will explain how to implement end-to-end Blockchain solutions with IoT using the IBM Cloud platform. By the end of this book, you will have mastered the convergence of IoT and Blockchain technology and exploited the best practices and drivers to develop a bulletproof integrated solution. What you will learn Understand the key roles of IoT in the current market Study the different aspects of IBM Watson IoT platform Create devices, gateways, and applications connected to the platform Explore the fundamentals of Blockchain Define good use cases for Blockchain Discover the Hyperledger Fabric and Composer frameworks Develop an IBM Watson IoT application using a Intel Edison Integrate IoT with the Blockchain platform Who this book is forHands-On IoT Solutions with Blockchain is for you if you are an Internet of Things (IoT) analyst, architect, engineer, or any stakeholder responsible for security mechanisms on an IoT infrastructure. This book is also for IT professionals who want to start developing solutions using Blockchain and IoT on the IBM Cloud platform. 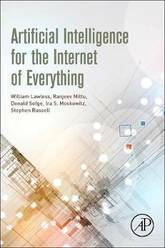 Basic understanding of IoT will assist you in understanding key concepts covered in the book. 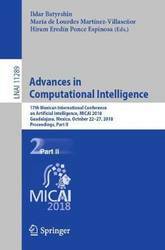 The two-volume set LNAI 11288 and 11289 constitutes the proceedings of the 17th Mexican International Conference on Artificial Intelligence, MICAI 2018, held in Guadalajara, Mexico, in October 2018. The total of 62 papers presented in these two volumes was carefully reviewed and selected from 149 submissions. The contributions are organized in topical as follows: Part I: evolutionary and nature-inspired intelligence; machine learning; fuzzy logic and uncertainty management. Part II: knowledge representation, reasoning, and optimization; natural language processing; and robotics and computer vision. 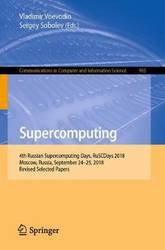 This book constitutes the refereed proceedings of the 4th Russian Supercomputing Days, RuSCDays 2018, held in Moscow, Russia, in September 2018.The 59 revised full papers and one revised short paper presented were carefully reviewed and selected from 136 submissions. The papers are organized in topical sections on parallel algorithms; supercomputer simulation; high performance architectures, tools and technologies. 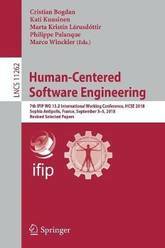 This book constitutes the refereed post-conference proceedings of the 7th IFIP WG 13.2 International Conference on Human-Centered Software Engineering, HCSE 2018, held in Sophia Antipolis, France, in September 2018. The 11 full papers and 7 short papers presented together with 5 poster and demo papers were carefully reviewed and selected from 36 submissions. 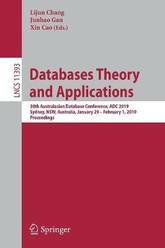 The papers focus on the interdependencies between user interface properties and contribute to the development of theories, methods, tools and approaches for dealing with multiple properties that should be taken into account when developing interactive systems. They are organized in the following topical sections: HCI education and training; model-based and model-driven approaches; task modeling and task-based approaches; tools and tool support; and usability evaluation and UI testing.